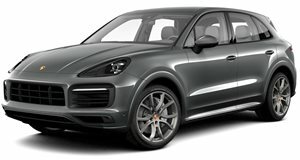 Pretty soon, a new member will be added to the Porsche Cayenne family. Unsurprisingly, Porsche wants to cash in on the lucrative and is busy preparing a new, more stylish version of the popular Cayenne. Our spies have spotted a prototype of the (the final name hasn’t been confirmed yet) undergoing cold-weather testing in Sweden preparing to battle the and . As expected, the new coupe version will be based on the regular Porsche Cayenne and share the same design as the SUV but feature a sloping roofline to inject it with some extra style. The prototype’s roofline appears to combine the look of the smaller Macan and the Panamera Sport Turismo. At the front, the prototype isn’t wearing any camouflage, but you won’t find any surprises since the face is identical to its SUV sibling. At the back, there will also be a retractable spoiler to improve the aerodynamics at higher speed. No photos were released showing the cabin, but we’re expecting the interior to also carry over. Expect the Cayenne Coupe to have a central 12.3-inch touchscreen and two seven-inch displays in the instrument cluster. Engine options will also likely carry over, so expect the Cayenne Coupe to be available with either a turbocharged 3.0-liter unit with 340 hp and 332 lb-ft of torque, or a 2.9-liter twin-turbo with 440 hp and 406 lb-ft in the S version. Plug-in hybrid and. Practicality will inevitably be compromised thanks to the sloping roofline, so expect the Cayenne Coupe to offer less luggage space than the regular version. 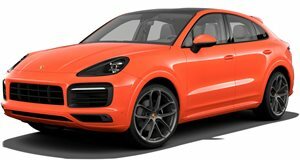 You’ll also have to pay a premium for the sleeker coupe SUV compared to the regular Cayenne, which starts at $65,700. No word yet when the Porsche Cayenne Coupe will be unveiled but it’s likely to debut later this year, possibly at the 2019 Frankfurt Auto Show in September.